Would you like to publicise a job at your organisation on the ICAEA website? 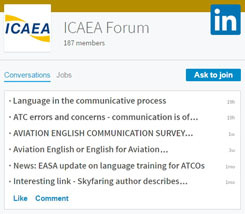 ICAEA provides a Jobs Board in good faith for the benefit of the aviation English community. Postings should not be understood to imply ICAEA’s endorsement or other recommendation of a company or organisation, its products or services.